Rang Rasiya star Randeep Hooda will now be seen playing The Bikini Killer in the film Main Aur Charles. 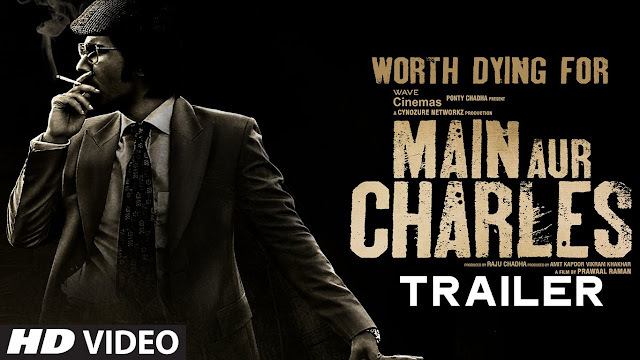 Here is the official trailer of the bollywood thriller drama, which is inspired by true events and told from the perspective of respected Indian cop, Amod Kanth who handled the notorious case of serial killer, Charles Sobhraj. See Also : Tisca Chopra's Ghayal Once Again release date postponed Written and directed by Prawaal Raman, the film stars Randeep Hooda, Richa Chadda and Adil Hussain, Tisca Chopra in lead roles. See Also : 14 Highly Educated Bollywood Celebs! Through the narrative, we see a series of crimes committed by Charles and the story of each of his victims, who fell for his charisma but were betrayed by his serpentine like nature. The man not just escaped several high security jails but even manipulated the legal system. In the title, Main aur Charles, the word 'Main' stands for the character of Amod Kanth.